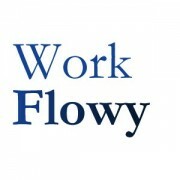 Have you tried WorkFlowy.com yet? I use it to track to-do lists, current projects, class and meeting notes, shopping lists, journaling, etc. It's like the ultimate notebook: you can use it for everything and then some. I've never used anything better. Everything is automatically saved every 10 seconds and backed-up. You can invite other people to work with you. It's very easy to sign up, and make sure you watch the quick How-To videos. Using this link <https://workflowy.com/?ref=9137aa4> will give both of us 50% extra space for free. I found out about it through this awesome write-up: Everything Is a List: The genius of WorkFlowy, the note-taking app that changed the way I organize my life.